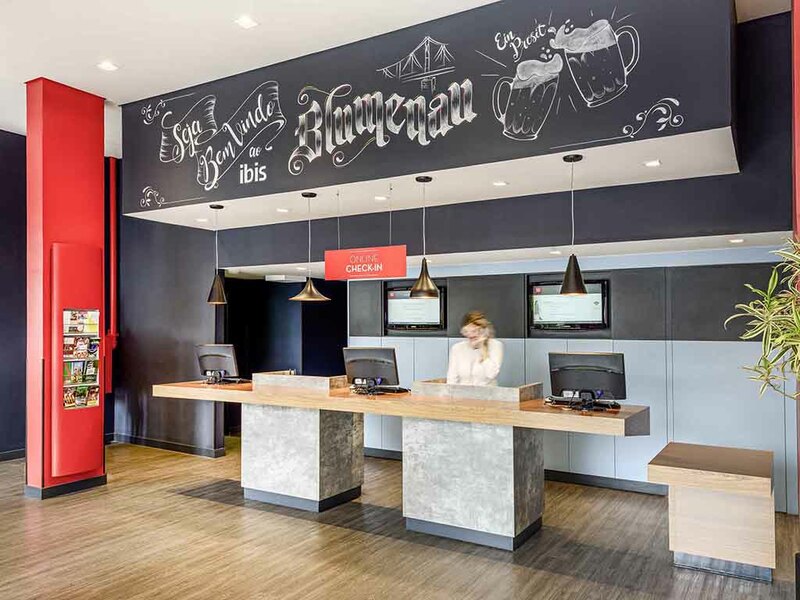 The ibis Blumenau hotel is located in the city center, close to the Neumarkt shopping center and the Carlos Gomes Theater. The establishment is located 37.3 miles (60 km) from Navegantes International Airport and 1.9 miles (3 km) from the Vila Germânica Park. The hotel has 110 rooms, with 2 rooms accessible for guests with reduced mobility. Our 24-hour bar serves food, drinks and snacks. Private parking and free WIFI Internet is also available in the apartments and communal areas. Non-smoking Standard Apartment with 1 double bed.